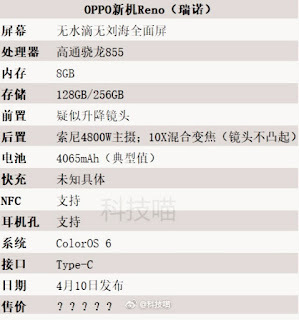 The Oppo release its first smartphone called Oppo Reno earlier this month. 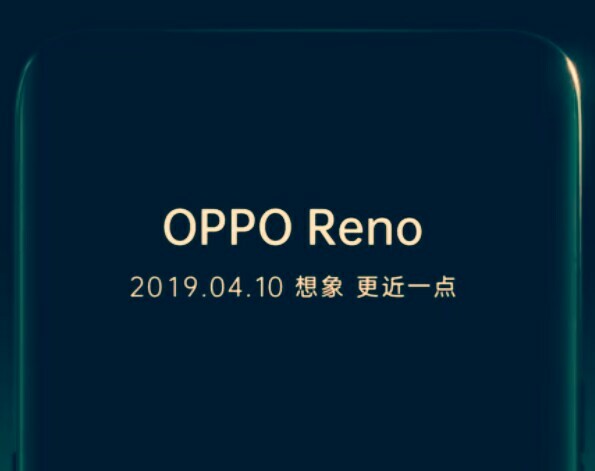 Oppo Vice President Shen Yiren officially Weibo website posted Oppo Reno Image and launch date. 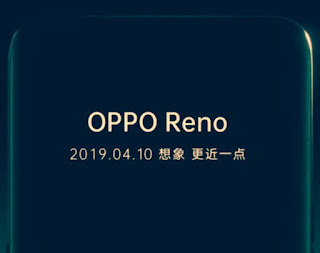 Oppo have officially confirmed the mobile phone name as Oppo Reno and launch date in China is 10th April, 2019. The Oppo Reno world first smartphone comes with the 10x Optical Zoom camera, 8GB RAM, 128GB Internal memory. 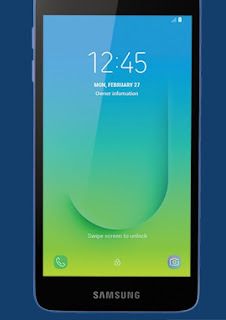 Oppo Reno is powered by Qualcomm Snapdragon 855, clocked at (2.2Ghz + 1.7GHz) Octa-core processor. 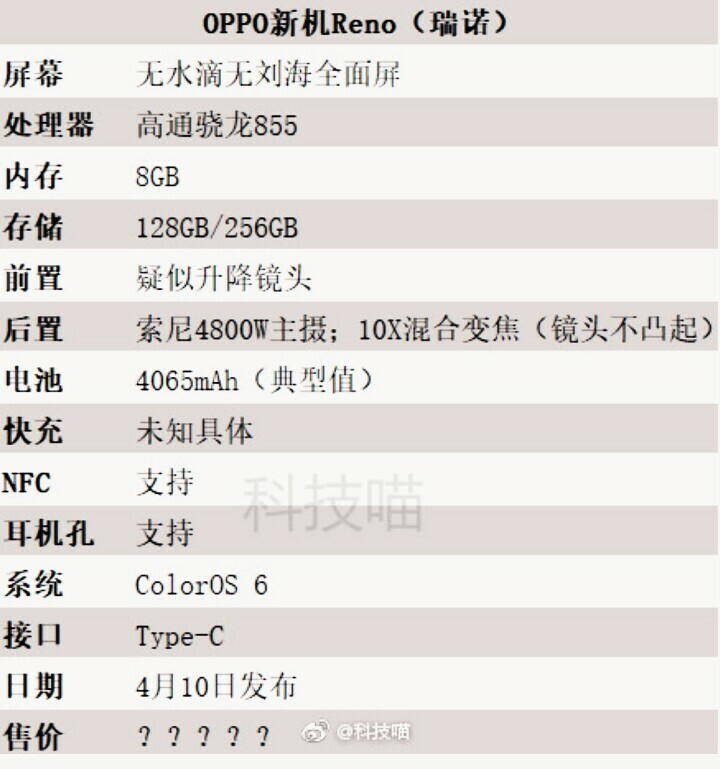 The Smartphone 6.40-inch HD and not officially share mobile display type but expect OLED display and a dual primary camera 48MP + 5MP with aperture and front camera is 16MP. The Mobile phone comes with Expandable up to 256GB of 8GB internal memory storage and packs a 4065mAh battery.